Metagenomics is defined as the extensive study of various types of genetic material recovered directly from environmental samples, which is further used for many purposes such as identification of a microbial species, classification of microorganisms, and understanding their importance on the planet dating back to their origin. Owing to such an extensive research made in this field, a distinct metagenomics market exists from a global perspective. The metagenomics market also encompasses terms such as environmental genomics, community genomics, and eco-genomics, among many others. In contrast to metagenomics, traditional microbial genome sequencing and genomics mainly depend on cultivated clonal cultures, to produce depict a diversity profile of microorganisms a natural sample. Meta genomics is mainly divided into two types: shotgun metagenomics and high throughput sequencing. In contrast, the high throughput sequencing processes utilize pyro-sequencing actions. Widespread development in bioinformatics, refinements in DNA amplifications, and spread of computational power, have proven to be a boon to the analysis of DNA sequences recovered from environmental samples. This has increased the demand of shotgun sequencing employed for metagenomic samples. A rising demand for implementing high quality DNA sequencing processes that are different from the conventionally used ones is majorly driving the global metagenomics market. From an overall perspective, the application of modern genomics techniques without the need for isolation and lab cultivation of individual species comprises majority processes of metagenomics. And as many researchers are carrying out extensive studies in this field, the global metagenomics market is projected to depict a steady presence. The global metagenomics market depicts the presence of a highly consolidated and narrow vendor landscape. This is mainly due to the presence of a handful of players in the market, which handles most of the processes. However, with the number of players expected to increase, the competition might witness extensive growth, thus mushrooming and attracting large revenue. Metagenomics has emerged as a new paradigm in microbiology in the genomic analysis of genetic material recovered from microbial communities. The approach has recently generated vast interest among microbiologists across the world in supporting the underlying research techniques for studying the vast range of microbes present in environment. The evolution of the metagenomics market is reinforced by constant efforts by researchers to leverage its potential in exploring novel physiological, metabolic, and genetic features, especially from genomic analysis of uncultured bacteria. The market is still in nascent stage and constant advances in bioinformatics methods are opening exciting avenues in sequencing-based metagenomics. The growing use of high-throughput sequencing of microbiomes through metagenomics is expected to expand the potential of the market. The advent of sophisticated bioinformatic tools and workflows pertaining to metaproteomics, metabolomics, and metatranscriptomics has changed the landscape of metagenomics market. The rising application of metagenomics is driven by the need for better understanding of the microbial diversity and ecology of an environment. The trend is gathering traction among life science companies for the discovery of novel genes and molecules from noncultivated and uncharacterized microorganisms. Rapid advancements in genomic technologies are accentuating the demand for metagenomics in the various life science industries world over. The metagenomics market is also witnessing attractive strides by the development of protocols for the genomic analysis of microbial consortia within the host cell. The launch of new sequencing technologies by bioinformatics companies and the gradual decline in their cost are factors expected to boost the market. Efforts for analyzing the genomic sequences of environmental bacteria has been receiving a robust fillip from the launch of a few cutting-edge workflow tools for sequencing over the past few years. Some of the notable ones are shotgun metagenomics, De novo assembly, and 16S rRNA sequencing. The use of these methodologies has helped fill the gap in human microbiome research and development. The potential, however, has largely been constrained by cost concerns, and several genomics companies are working in this direction. CoreBiome, a U.S.-based genomics company, has in June 2018 announced an affordable and advanced shotgun metagenomic and strain sequencing tests that help in gene profiling of human microbiome. The platform can be combined with its sequencing assay for making the analysis of plant tissues and biopsies. Such products enable researchers in in-depth characterization of microbial isolate libraries. Strategic partnerships between metagenomics companies and healthcare providers helps in better utilization of clinical metagenomic testing platforms. A recent such collaboration is by a metagenomics technology company, IDbyDNA. The company announced in September 2018 that it has entered into a licensing agreement with Fleury Group, a prominent health organizations in Brazil. The later company can now leverage the potential of Explify platform South America to expand its pathogen detection portfolio for serious infection cases. Such developments help in expanding the sustainability of the healthcare system. The report offers a detailed assessment of the regional growth dynamics and the prevailing opportunities in key regions. On the regional front, developed regions are likely to exhibit substantial potential in the expansion of the global metagenomics market over the assessment period of 2018–2028. Regions, such as North America, are witnessing the launch of several advanced metagenomics platforms and workflows. The product development initiatives in these regions are fueled by the presence of numerous biotechnology companies. Developing regions are also expected to witness promising growth in the coming years. The study takes a closer look at the current competitive landscape in various regions and evaluates the impact of recent product launches on the growth trajectories of the metagenomics market. It offers insights into their revenue and share size and the strategies adopted by key players to retain stronghold in the market. 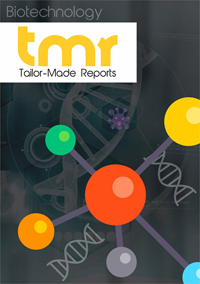 Some of the prominent players operating in the metagenomics market are ELITechGroup, Qiagen, Danaher Corporation, TAKARA BIO INC., Thermo Fisher Scientific, Novogene Corporation, and Promega Corporation.